Forum UNESCO - University and Heritage (FUUH) . Higher education is crucial to the long-term preservation of World Heritage sites. As the World Heritage List grows, there is an urgent need for qualified professionals to manage every aspect of the sites, from conservation and preservation to tourism and interaction with local communities. Preface: The Charter of Vice-Chancellors (1999) was adopted by ninety-five vice-chancellors and presidents of universities, Paris, France, 28 June, 1999. Around 50 university deans and rectors, from all parts of the world, are expected to attend the fourth Forum UNESCO – University and Heritage (FUUH) meeting on July 5th and 6th in Room IX of UNESCO headquarters. On that occasion, they decided to ensure the ethical and voluntary commitment of their universities on behalf of their national heritage as well as the heritage of humanity, to activate the role of universities in the protection and enhancement of heritage in conjunction with ICOMOS, the International Council of Museums (ICOM), ICCROM, the Council of Europe, the International Federation of Landscape Architects, the World Monuments Fund and the International Association of Universities. The Forum is an international network of universities with departments in the heritage field, set up by UNESCO’s Division of Cultural Heritage, which held its first meeting at the Polytechnic University of Valencia, Spain, in 1996. The Forum entered its operational phase at its second seminar in Laval, Canada in 1997. To date, 25 joint projects – adopted by the universities at the Forum’s third meeting at Deakin University in Melbourne, Australia in 1998 – have been set up worldwide. Following the Melbourne Declaration on the need to strengthen links and develop co-ordination between institutions which specialise in heritage, the Forum successfully organised several meetings and training events on a national, regional and international level. The Forum, which currently includes 185 universities and institutions specialising in the heritage professions in 54 countries, has also launched youth camps, both with the universities as well as with UNESCO Associated Schools. The aim of this fourth meeting is to obtain a tangible and substantial commitment from rectors and deans to mobilise new technical and human resources aimed at getting young people to participate more in the heritage professions and to help ensure, with the assistance of experts, the better running of operational and promotional projects. “The 95 Vice-Chancellors and Presidents of Universities gathered decide to ensure the ethical and voluntary commitment of their universities on behalf of their national heritage as well as the heritage of humanity, to activate the role of university in the protection and enhancement of heritage in conjunction with ICOMOS, ICOM, ICCROM, the Council of Europe, IFLA, the World Monuments Fund and the International Association of Universities, to plan teaching courses in heritage law, to give support through human, technical and financial resources to teachers and students in charge within their universities of the operating procedures and activities of Forum UNESCO – University and Heritage. They also decide to encourage the creation of UNESCO Chairs for heritage and to call for the international community to support this academic network in favour of heritage conservation and peace and give it priority in the programme and budget of UNESCO”. What’s Forum UNESCO – University and Heritage (FUUH) ? 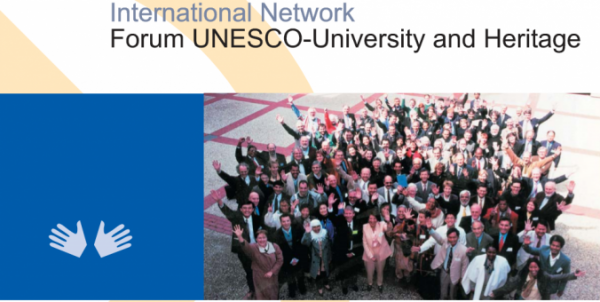 International Network Forum UNESCO – University and Heritage. 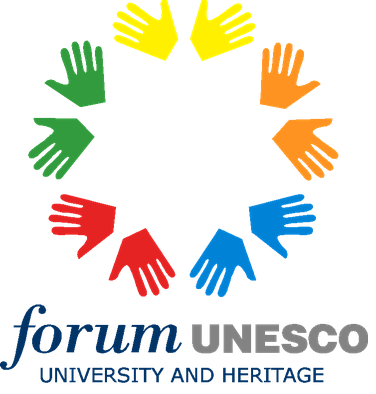 Forum UNESCO – University and Heritage (FUUH) has created the UNESCO Chair ‘Forum University and Heritage’, by the agreement signed between UNESCO and the Universitat Politècnica de València (UPV, Spain) in 2013. Forum UNESCO – University and Heritage (FUUH) is a UNESCO project for undertaking activities to protect and safeguard the cultural and natural heritage, through an international network of higher education. FUUH is under the joint responsibility of the UNESCO World Heritage Centre and the Universitat Politècnica de València (UPV) Spain. 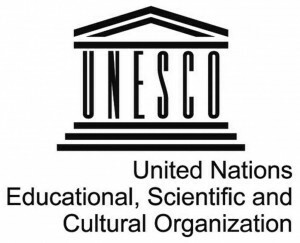 Forum UNESCO – University and Heritage aims to be informed or to disseminate information widely about disaster and risk mitigation and management news and activities implemented by universities through the use of the network database freely accessible online. What’s UNESCO Chair Forum University and Heritage? The UNESCO Chair Forum University and Heritage, established in July 2013, brings the experience in the management of the international network in the field of higher education “Forum UNESCO – University and Heritage” (FUUH) created in 1995 through an agreement between UNESCO and the Universitat Politècnica de València (UPV) with the aim of involving professors, researchers, students and professionals around the world in activities in favour of protection and safeguard of the cultural and natural heritage respecting UNESCO’s ideals. With this goal and throughout this time, the FUUH network has carried out numerous workshops, exhibitions, publications, training courses and projects, especially highlighting their International Seminars. These activities have counted with the participation of worldwide heritage specialists and commitment of universities through institutional agreements. The UNESCO Chair Forum University and Heritage expresses the commitment of the UPV to continue contributing to the preservation and enhancement of heritage through the cooperation between universities and promoting the growth and exchange of knowledge in the FUUH network, nowadays coordinated in collaboration with the World Heritage Centre (WHC) of UNESCO and has currently more than 3,000 individual members from 130 countries worldwide. Promoting international scientific cooperation on critical challenges to sustainable development. Supporting inclusive social development, fostering intercultural dialogue for the rapprochement of cultures and promoting ethical principles. Fostering creativity and the diversity of cultural expressions. Promoting freedom of expression, media development and access to information and knowledge using the ICTs. The protection of heritage, considering its diversity (natural and cultural, movable and immovable, tangible and intangible), taking into account its diverse forms and its triple function: identity, vector of development and instrument of reconciliation. The dissemination and the implementation of international conventions related to the protection of cultural heritage (1954, 1970, 1972 and 2001), natural heritage (1972) and intangible heritage (2003), notably reinforcing the strategic objective of UNESCO to “Sustainable Protection and enhancement of cultural heritage”. Meeting at UNESCO Headquarters, Paris, France, 28 June, 1999. The 95 Vice-Chancellors and Presidents of Universities gathered decide to ensure the ethical and voluntary commitment of their universities on behalf of their national heritage as well as the heritage of humanity, to activate the role of university in the protection and enhancement of heritage in conjunction with ICOMOS, ICOM, ICCROM, the Council of Europe, IFLA, the World Monuments Fund and the International Association of Universities, to plan teaching courses in heritage law, to give support through human, technical and financial resources to teachers and students in charge within their universities of the operating procedures and activities of Forum UNESCO – University and Heritage. They also decide to encourage the creation of UNESCO Chairs for heritage and to call for the international community to support this academic network in favor of heritage conservation and peace and give it priority in the programme and budget of UNESCO.